Discover a new breed of tech-savvy laptops! Finally, a laptop that’s ready when you are. It means you can just flip it open and get on with whatever you want to do. It updates itself and has built-in protection. Isn’t that absolute peace of mind? 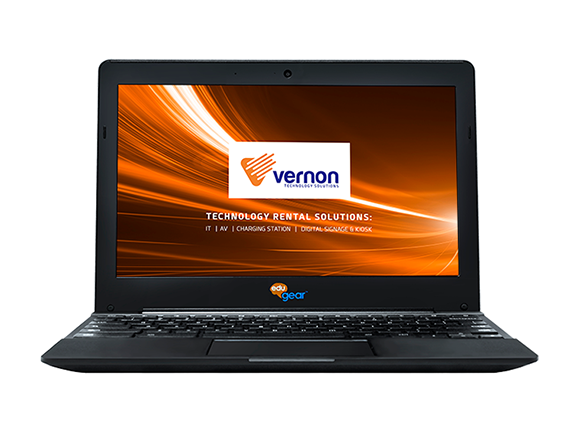 Why choose Vernon to rent Chromebooks? Swift power-on and ready for action in about eight seconds, thanks to their SSD hard drives and the lightweight Chrome OS. The Chrome OS has built-in virus and malware protection that is always updated to the latest version, so you never need to worry about malicious files. Sync all your apps and passwords easily with Chrome browsers on other computers.